Preheat oven to 350°. In a small skillet, cook beef and onion over medium heat until meat is no longer pink; drain. Stir in taco seasoning and water. Bring to a boil. Reduce heat; simmer, uncovered, 5 minutes. Remove from heat; stir in 1/2 cup cheese blend. Place tart shells in an ungreased 15x10x1-in. baking pan. Fill with taco mixture. Bake 6 minutes. Sprinkle with remaining cheese blend; bake until cheese is melted, 2-3 minutes longer. 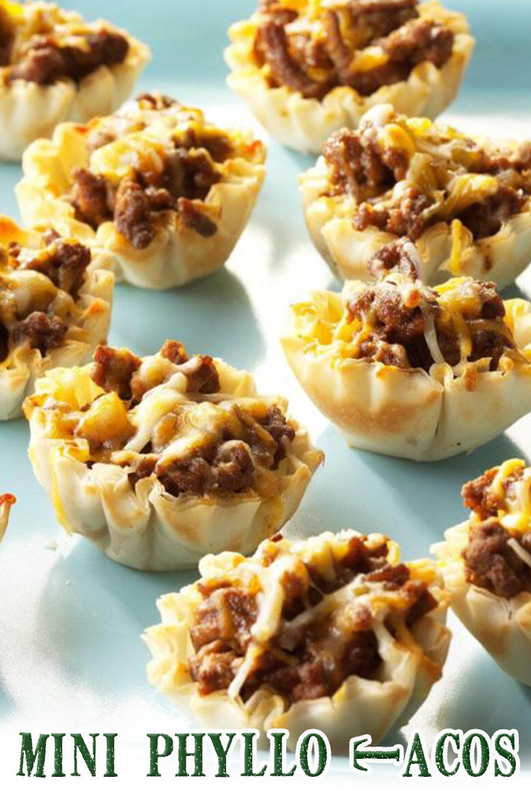 Freeze option: Freeze cooled taco cups in a freezer container, separating layers with waxed paper. To use, reheat on a baking sheet in a preheated 350° oven until crisp and heated through.